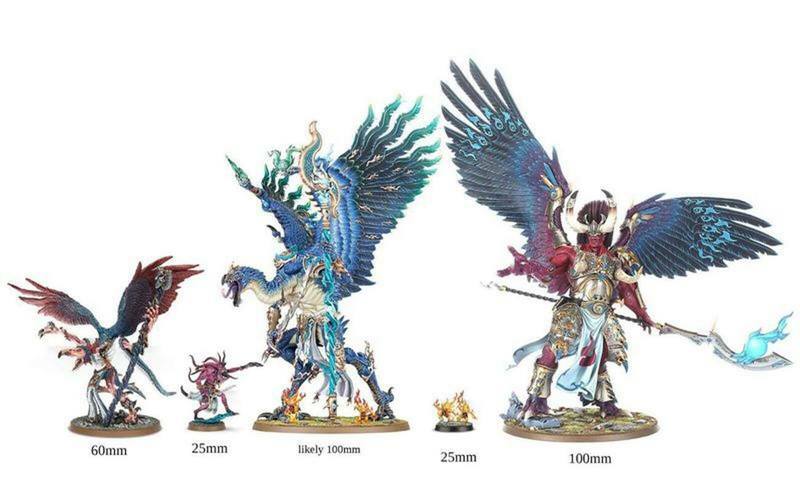 After the new Stormcast Battletome, I expected some of these changes, but I thought they would come with the next DoT Battletome (effect ranges changed from "within" to "wholly within", effects that trigger on 6+ changed to unmodified 6)...... Age of Sigmar : Chaos - Deamons of Tzeentch Blue Horrors & Brimstone Horrors Casting vindictive glares at their enemies and blasting them apart with mystical fire, Blue Horrors are as resentful and bitter as their pink cousins are gleeful and capricious. Age of Sigmar : Chaos - Deamons of Tzeentch Blue Horrors & Brimstone Horrors Casting vindictive glares at their enemies and blasting them apart with mystical fire, Blue Horrors are as resentful and bitter as their pink cousins are gleeful and capricious. The new keywords mean these are now fine options for a pure Tzeentch or Khorne force, allowing them to keep the Allegiance Abilities from the new Blades of Khorne and Disciples of Tzeentch Battletomes.